One of the benefits of the Prove Your World project is that it brings together scientists and educators to create a show which is both scientifically accurate and educationally sound. It is also one of the challenges, because in many ways scientists and science educators speak completely different languages. As a case in point, consider a story about how and why. 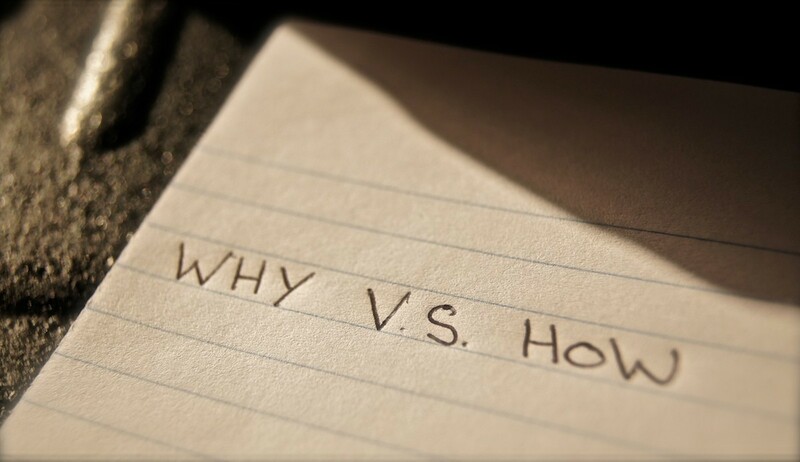 A common shorthand in inquiry education is that “why” questions are bad. Instead they should be changed to “how” or “what” questions. It is a deeply rooted shorthand. So deeply rooted that for some educators “why” questions are considered taboo. As a scientist the ban on “why” makes no sense. Asking “Why is the sky blue?” is a perfectly valid question. Changing it to “How is the sky blue?” doesn’t change the question, so why the fixation on not using “why”? In reality the “how” and “why” are shorthand for what educators refer to as “investigable” and “non-investigable” questions. A non-investigable question is one that is too simplistic, too complex (for students) or philosophical. So “What is the mass of Jupiter?” is non-investigable because you can just look it up. “Why do bad things happen?” is non-investigable because it’s philosophical. “How did life appear on Earth?” is non-investigable because it is too complex for students to answer on their own. When you listen to children’s questions, most of them are non-investigable, and most of them begin with why: “Why is the sky blue?” “Why did my plant die?” “Why do I have to finish my green beans?” As a young educator you learn to key in on “why” questions as non-investigable questions. Hence the shorthand: “why” questions are bad. The challenge is to use a child’s “why” questions as the path toward investigable questions. These are questions that focus on classification (What materials float in water? ), relationships (How does temperature affect mold growth?) and hypothesis testing (What experiment could prove or disprove your model?) It is the investigable questions that can help give a child scientific understanding, and teaching children to ask investigable questions is a big part of teaching them to think scientifically. It all makes sense, once you understand why.